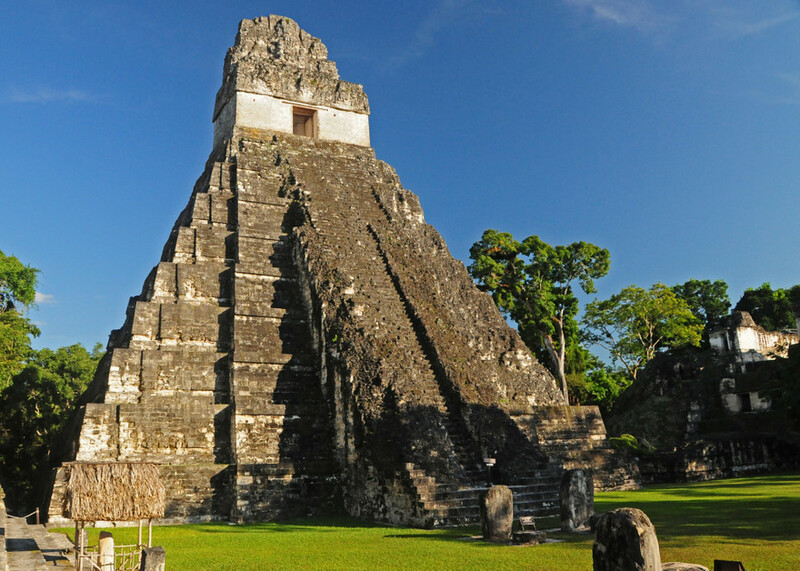 Get a glimpse of the country’s history and culture on Guatemala tours. Ancient Maya pyramids, towns including Antigua with colonial Spanish architecture, and a stunning lake surrounded by volcanoes are just some of the spectacular sites. A visit to local villages and cultural experiences too are top attractions. Maya sites, colonial architecture, local villages, and breathtaking nature make Guatemala tours unforgettable. Best time to visit Guatemala? we enjoyed very much the service of Cony, and Auda who was our guide in Antigua. She is wonderfull ! the only thing that i would improuve is the lunc..."
Every adventure into a new culture opens the door to understanding. 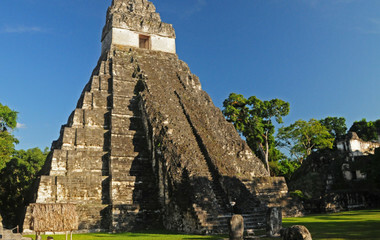 Guatemala is a country rich with culture and unique sites, with a whole host of delights on offer on a tour. 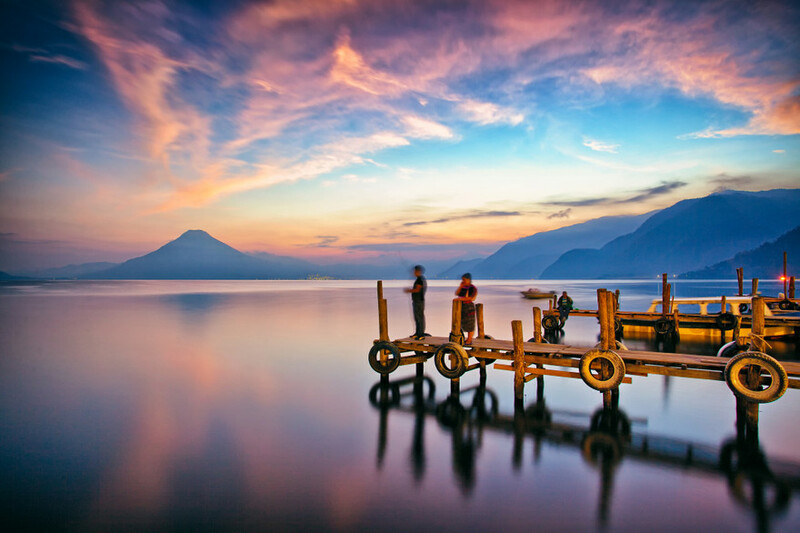 Travelers will be charmed by the colonial city of Antigua, while breathtaking Lake Atitlán and its surrounding volcanoes will take your breath away. On Guatemala tours you can also learn about the country’s Mayan history and enjoy adventuring through its diverse landscapes. You’ll find stunning lakes and rivers, as well as the unmissable Semuc Champey - a picturesque natural limestone bridge that oversees the surreal waters of the Cahabón River. And if that all gets a bit too much, there’s a hammock on the beach with your name on it. Guatemala tours offer something for everyone. When leaving the country, you’ll feel as though you’ve traveled far and wide and traversed several different countries. Landscape, climate, cultural aspects and ethnic change within a small distance all throughout the country. Perhaps only neighboring Mexico can match the sheer scale and diversity of Guatemala. 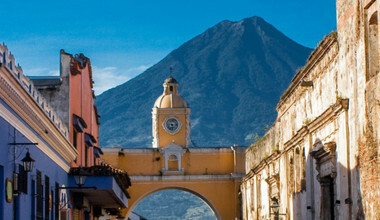 Guatemala tours will almost inevitably include the beautiful, beguiling Antigua, the former capital of the country. It’s a maze of colonial buildings, cobblestone streets and delightful cafes that exists in stark contrast with smoky, chaotic Guatemala City. Guatemala’s capital does have its own charms, but the city requires patience to appreciate. Most travelers will also head for the Western Highlands, an area dominated by Mayan culture. This is a region of breathtaking beauty, full of volcanoes, undulating hills and old, charming colonial villages. 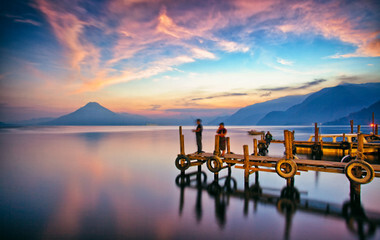 Be sure to also visit Lake Atitlan, which is one of our earth’s treasures. 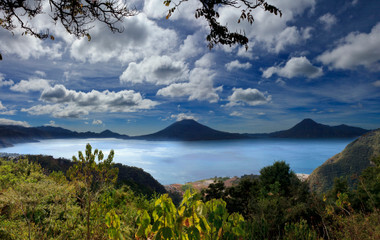 A huge lake surrounded by volcanoes, it’s sure to be one of the highlights of your Guatemala tour. Surrounding the lake are several indigenous settlements which are well worth checking out. Visit Santa Cruz La Laguna and San Pedro La Laguna for some decent places to stay and an invaluable peek into life in the area. Solola and Chichicastenango are the best markets in the region, so don’t miss them, either. In the west, you’ll find Guatemala’s largest and most impressive mountain range, the Cuchumatanes. Here you’ll find plenty of spectacular scenery and old traditional Mayan villages, making it an excellent choice for anyone looking to go trekking in Guatemala. 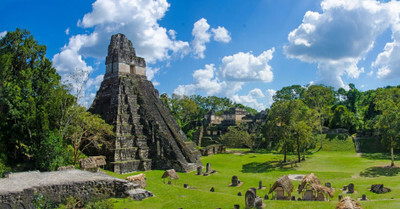 There’s plenty more on offer in Guatemala, from the rainforests of the north to the Afro-Caribbean community of the east, as well as the scarcely explored areas in the north of the country that require days of trekking. Guatemalan Mayan culture is said to have been between 1500BC and 1500AD . 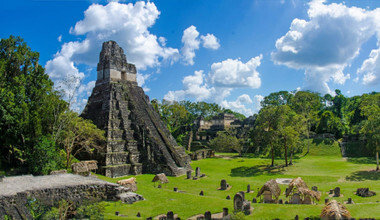 During these 3000 years, the zenith of the Mayan civilization is set between 300 – 900AD, and most of its sites and cities are located in what today is Guatemala. As the country changes, traditional Mayan culture lives on, although its roots are often mixed in with the other cultures that inhabit the country. Guatemala food is quite particular. There are no big meals, the typical meals consist of small portions that take a long time to prepare. Tamales (corn grounded and cooked baked in banana leaves with chicken or pork) are popular, as is chili relleno (stuffed spicy chilly peppers with meat accompanied by white rice). Corn is also incredibly varied and popular in Guatemala, so tours to the country will undoubtedly involve sampling some. In terms of bigger meals, don’t be surprised to find beans, rice and meat making up a large portion of your daily intake. 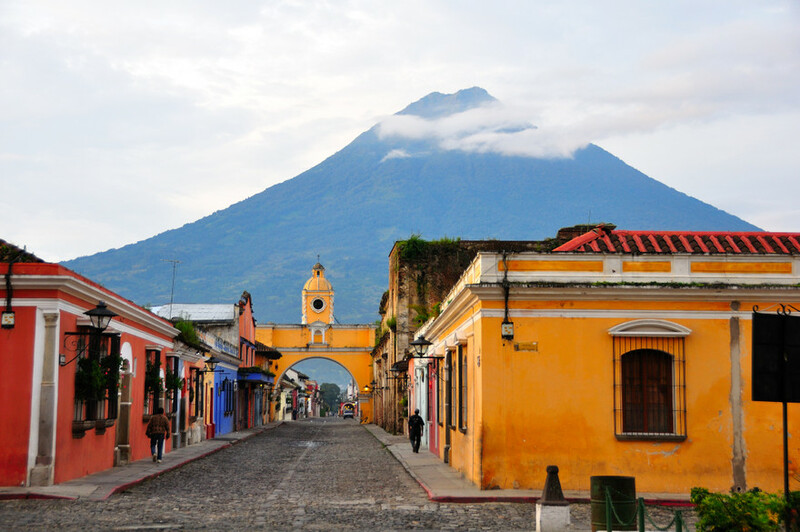 What time of the year is it best to visit Guatemala? 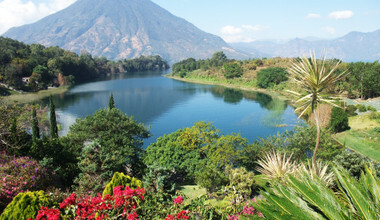 Guatemala is called the “land of eternal spring” for good reason. Warm days and mild evenings are pretty much the standards here. Rainy season is May to October, with the very worst of the rain coming in September. This usually involves an afternoon of heavy rain, with the rest of the day being pleasant. we enjoyed very much the service of Cony, and Auda who was our guide in Antigua. She is wonderfull ! the only thing that i would improuve is the lunch boxes… not to good and not enough , specialy for the Acatamengo trip. but for the rest it was amazing.